The trail meanders through planned gardens and into a natural wooded area where native plants predominate. A viewing platform that overlooks the historic Clinton's Ditch. This trail is part of Trail Work's Forever Wild For Everyone project, a concept that enables persons of impaired mobility to enjoy access to nature. 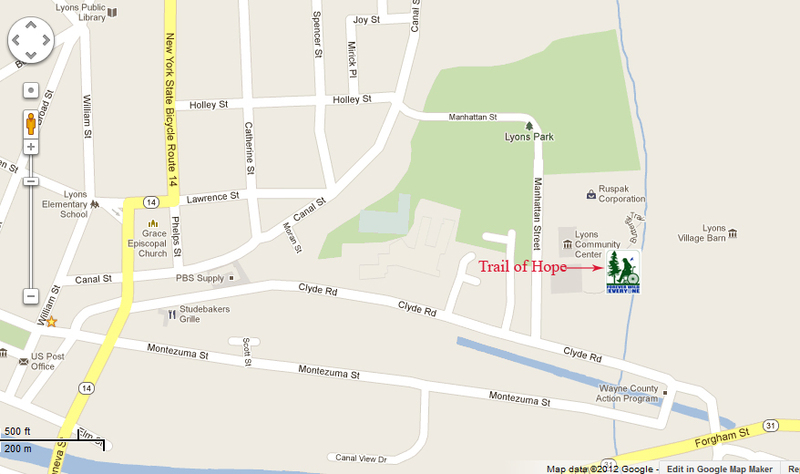 The Trail of Hope is dedicated to Jim Tuscher, Lyons Class of 1957 who had spent his life as an advocate for people with disabilities and to Leigh Ann Henry, Lyons Class of 2006 who, due to an injury sustained in an auto accident, is now confined to her wheel chair. The trail, built on land adjacent to the Lyons Community Center, is the effort of Trail Works Board member Mark DeCracker and the generous support of the community with materials and labor. 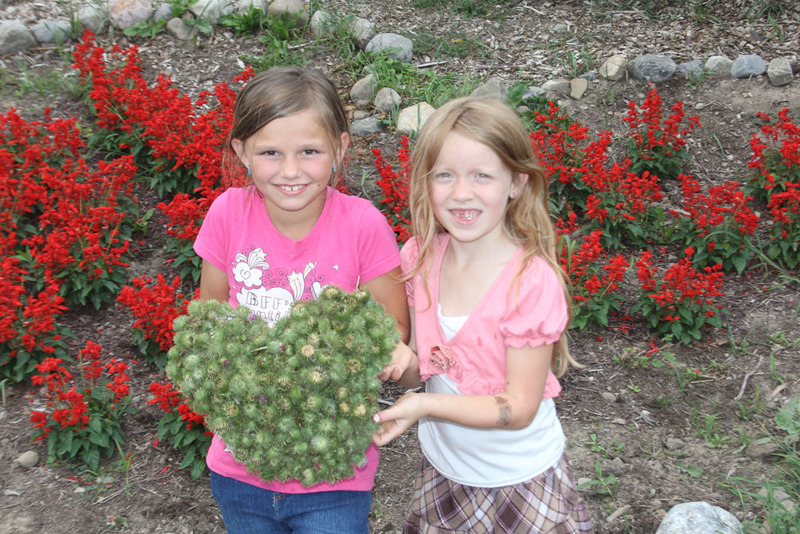 In partnership with Cornell Cooperative Extension's Creating Healthy Places, children have helped to plant gardens along the trail. 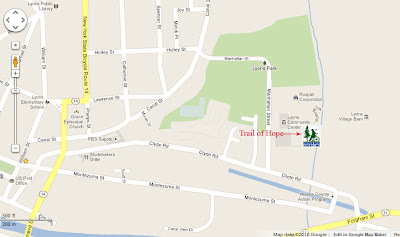 Plans are being made to connect this trail by a spur to the Erie Canal Trail as it passes through Lyons. Trail Works, Inc. in conjunction with Forever Wild for Everyone believes that all people, regardless of their ability or age, have the right to enjoy nature and its many benefits. Our role as stewards of the Forever Wild for Everyone program in Wayne County is to develop and/or designate nature trails without barriers that everyone can enjoy.